N.A. Nicola and D.J. Hilton, General Classes and Functions of Four-Helix Bundle Cytokines. A.A. Kossiakoff and A.M. de Vos, Structural Basis for Cytokine Hormone-Receptor Recognition and Receptor Activation. L. Rocco Carpenter, G.D. Yancopoulos, and N. Stahl, General Mechanisms for Cytokine Receptor Signaling. M. Socolovsky, S.N. Constantinescu, S. Bergelson, A. Sirotkin, and H.F. Lodish, Cytokines in Hematopoiesis: Specificity and Redundancy in Receptor Function. C.M. Silva, J. Isgaard, and M.O. Thorner, Cytokines in Endocrine Function. M.F. Mehler and J.A. Kessler, Cytokines in Brain Development and Function. Subject Index. Author Index. Our most complete understanding of hormone receptor signaling may be exemplified in a family of hormones and receptors known as the cytokine superfamily. This volume is devoted to describing members of this hormone/receptor family from their molecular structures to their physiological effects. These hormones are not only biologically fascinating, but are also tremendously useful medicines. 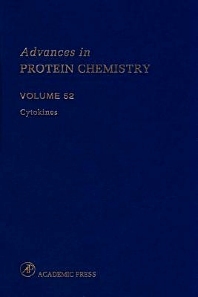 The first three chapters review the basic events in binding and signaling. The remaining papers present the cellular biology and physiological processes controlled by these hormones and receptors. Biochemists, molecular biologists, cell biologists, immunologists, endocrinologists, and biomedical researchers. Dr. James B. Wells is a professor in the Department of Criminal Justice in the College of Justice & Safety at Eastern Kentucky University. Earlier in his career, he was a correctional officer at the Southern Ohio Correctional Facility in Lucasville, Ohio, and later, a criminal justice planner for an architectural and engineering firm that specialized in designing correctional and other justice-related facilities. Sunesis Pharmaceutical, Inc., Redwood City, California U.S.A.